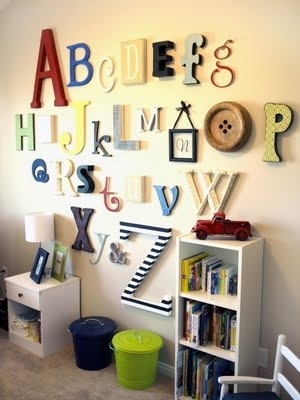 This creative alphabet set can finish off pretty much any room you want it to! They'd make an exceptional art piece in any teachers room! The set comes with the alphabet A-Z letters and &. (if you would like the button, box frame and plaque please choose that package below) They will be painted like sample photo, if you have specific colors, patterns or designs I also have a custom alphabet that can be painted to your exact specifications (see Custom Painted Alphabet listing). Letters are made in different sizes ( Small 10"-6" Large-16"-7"), fonts etc to add to the whimsy of them.